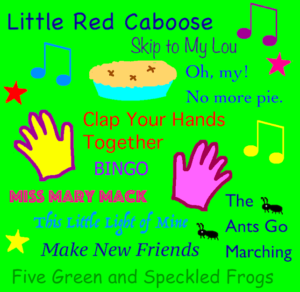 Following up on my previous post about singing with kids, I’m excited to share a list of my favorite “classic” songs to share with today’s children. Singing the classics gives children a sense of history and tradition; we ought to pass along the best of folk traditions to the next generation. In many cases, the original authors of these songs are unknown, and they are normally called “traditional.” I have listed authors when I know them. There are also some “classic” songs that I purposefully left off this list. Scroll down to find out why. I’d like to mention some less pleasant “traditional songs” of which musicians should also be aware. 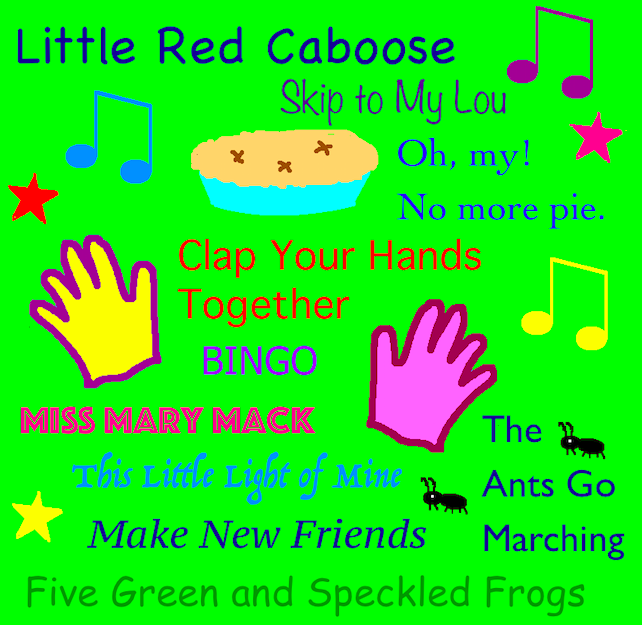 A few children’s songs that were popular only a generation ago are no longer in use by many music professionals owing to their historic associations with racism, segregation and slavery. One example is the seemingly innocuous dance song, “Jump, Jim Joe,” which I’ve enjoyed many times. Unfortunately, I discovered a few years ago that this song dates to the days of black-face minstrelsy, and was first sung as “Jump, Jim Crow.” Yes, the words have been changed, but the song’s history cannot be. Here’s another example. On my first recording for children in 2001, I sang “Pick a Bale of Cotton” as “Pick a Bag of Apples.” But even with changed lyrics, choosing to sing these songs can be offensive and hurtful, as I found out following feedback from two African-American teachers at a school where I taught. While children might not know the difference, teachers and parents often do, and singing the songs perpetuates ties to a chapter of America’s past that we should be working hard to close. Older children might be introduced to the songs with a careful explanation about the songs’ history, but such a discussion isn’t usually successful with young children, at least in my experience. Musicians should study these links to assure that songs with a racist history are not part of our repertoire, even with changes in lyrics. This is especially important with today’s internet, where a search for a song that seems fine on the surface might result in a video that’s highly offensive. In an interview with Ginger Lazarus in Pass It On! the Journal of The Children’s Music Network, Dr. Tawnya Pettiford Wates remarks, “When we know better, we need to do better. There are certain things that need to be retired to the bookshelf of history.” You can read the whole interview at this link. Some musicians (who are white) have argued that it’s sad to lose songs that they and their children have enjoyed over the years. I would just answer that there are many, many other songs to choose from. Or we can write our own!